More than 97% of beef cattle farms and ranches in the United States are family farms. This holds true for Utah also. Here in the beehive state, there are 830,000 head of cattle being raised by more than 8,000 ranchers. Utah ranchers work hard to take care of their families, their cattle, and their land. The Tavaputs Ranch is owned and operated by Butch and Jeanie Jensen. The Jensen family live and work in the same place their ancestors settled in 1889. The Jensen family manages their ranch with their daughter, Jennie, son in law Jeff, and grandsons Jax and Jett. The Jensen's were the recipients of the Leopold Conservation Award in 2009 and the National Cattlemen's Beef Association's Environmental Stewardship Award for Region VI in 2010. Central Utah is home to Richard V. Nielson, a partner in the historic Nielson Farm Inc. Richard and his family run a cow-calf and backgrounding operation founded in the 1860s. Richard’s grandchildren are the seventh generation on the farm. The Smith Ranch located in Snowville, Utah was established in 1997 by David and Trudy Smith. They bought a 1,800 acre dry farm in what then seemed to be the middle of nowhere. 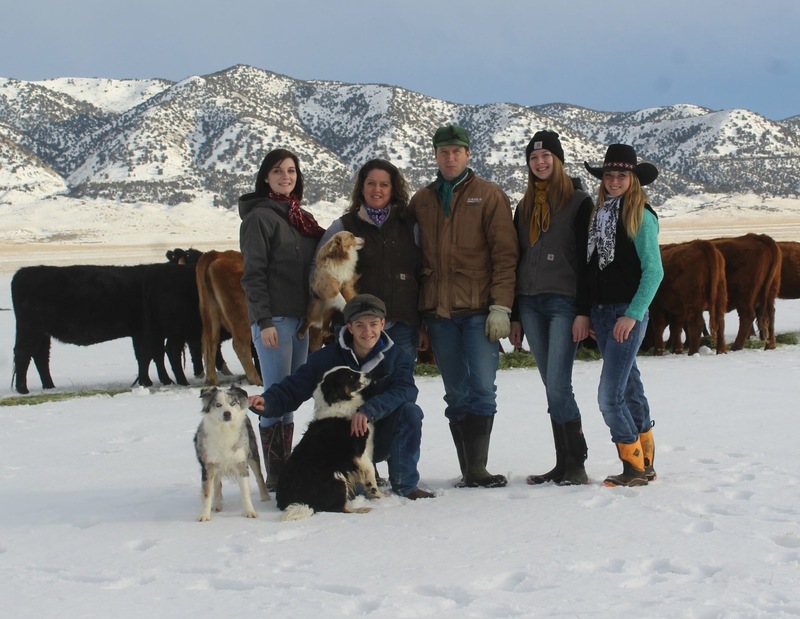 Today, Dave, Trudy and their four children McKinzie, Allison, Emily and Garrett are proud to call the ranch home. They work together every day to grow organic wheat and raise quality beef. They work hard to ensure their cattle receive the best care possible and that the land they are entrusted with is continually made better. The Smith family follows Beef Quality Assurance guidelines when taking care of the cattle on their ranch. They enjoy sitting down together and eating the beef they raise and hope that other families will enjoy it just as much as they do. They are grateful for their cattle, for their land, and for the way of life they are blessed to live.